Holy smokes that was a fun course, I've never enjoyed a cyclocross race so much! There were ups, downs, twists, off camber turns, and a little bit of mud. And the straightaways were limited which was right up my alley! Getting lined up and ready to race. Photo by Eric Roccasecca. It's been fun to see the Women's field grow at this race. 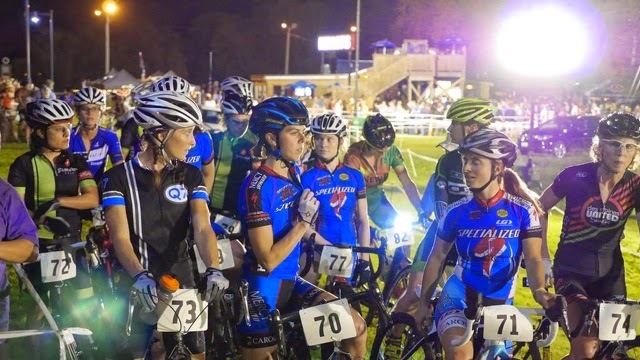 I got to line up with 16 other ladies, that's awesome for a local race! 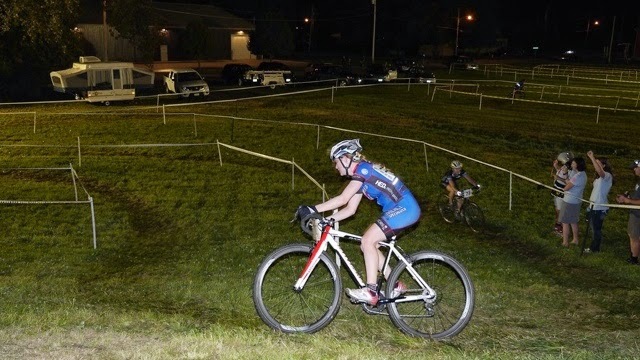 Since I haven't done super well at 'cross I lined up in the second row (lined up according to USAC rankings). I had a great start and was 4th going into the first turn. Brittany, Vanessa, and Lisa were ahead. Britt and Vanessa started to get a gap but I could not get around Lisa with all the turns. On the second lap I finally got ahead but Vanessa and Brittany were already far ahead. I drilled down to try and get a gap from Lisa and all the other girls chasing close behind. I kept things smooth through all turns and off camber areas. My mountain bike handling skills were put to good use! Darcy was on the sidelines cheering me along and giving me great tidbits of advice during the race. She reminded me to keep drilling down every chance I got, there were several girls close behind chasing. It was exactly the advice I needed - thank you Darcy! When I finally got a look at the lap counter, there was just one lap to go. I was a little giddy by how well I was doing but nervous about how many girls were so close behind! I kept things smooth, pushed through the corners, and pushed even harder during the straightaways. And I finished in 3rd place. By far my best 'cross race ever! And my stellar teammates Britt and Vanessa finished 1st and 2nd - awesome! 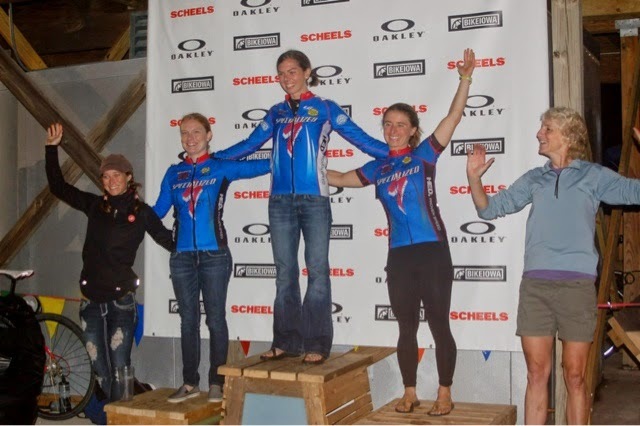 Lisa, Myself, Brittany, Vanessa, and Linda on the podium! Photo courtesy of Brittany McConnell. Now I'll keep my fingers crossed that the rest of the season goes so well!